With danger on every side, would she live to fulfill her destiny? "I'm going to see Jesus now," the little girl whispered, "and I want to show Him that I suffered for Him, too." Moments later, she was in God's arms... This image, and countless like it, resonated in the heart and soul of Christina Davis as she shared and lived out the gospel in a remote, danger-filled jungle of the Philippines. Her three-month mission trip grew into a six-year labor of love. Surrounded by threats from militant rebels, witch doctors, and the hostile jungle, Christina used any opening to proclaim the one true God who had freed her from the prison of her own pain and fear. 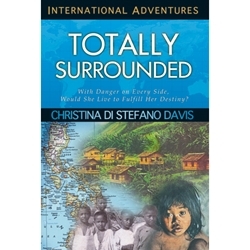 Christina's incredible story is a captivating adventure of how one woman's determination to answer God's call forever changed her own life and altered the destiny of a people enveloped in a web of fear, darkness, and oppression.